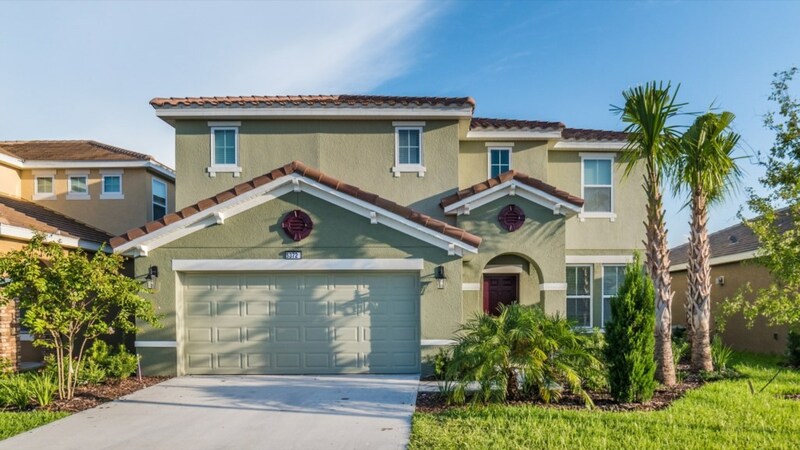 Welcome to this gorgeous vacation home located in the resort community of Solterra. 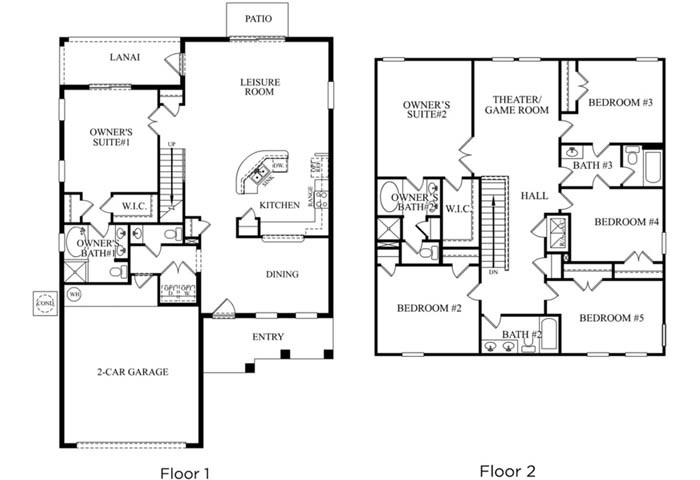 This 6 bedroom, 4.5 bathroom home screams luxury and relaxation from the moment you enter. 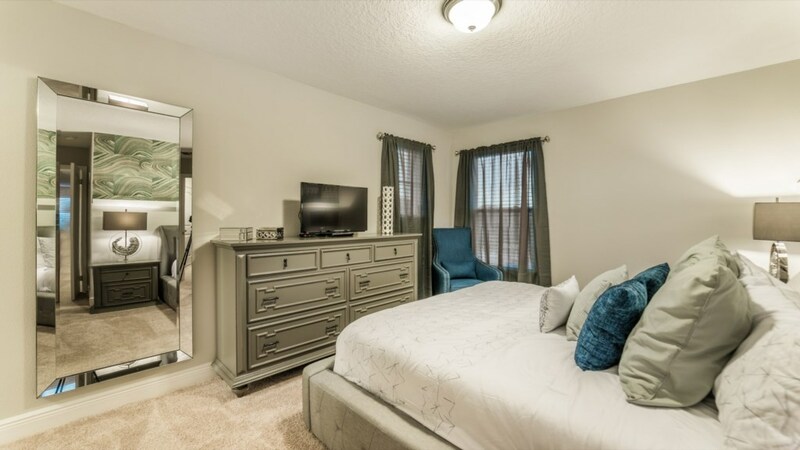 This home is part of the Grand Collection, meaning it is expertly designed and beautifully decorated for the style and comfort of every guest in mind. 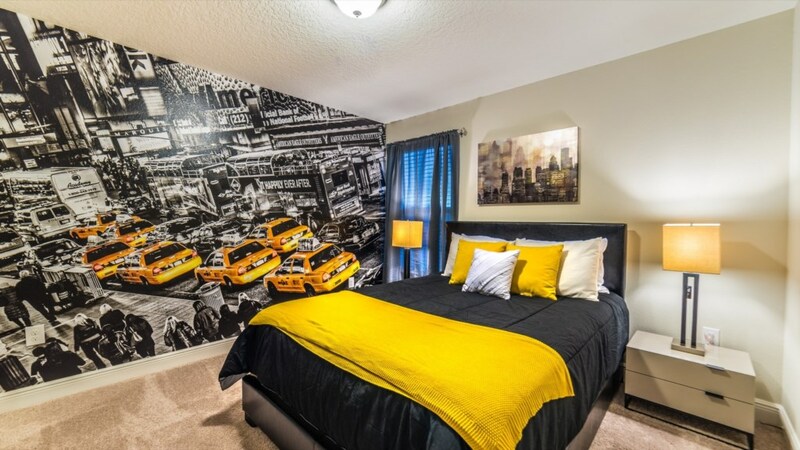 To begin, this homes contemporary theme sets itself apart from many other homes. 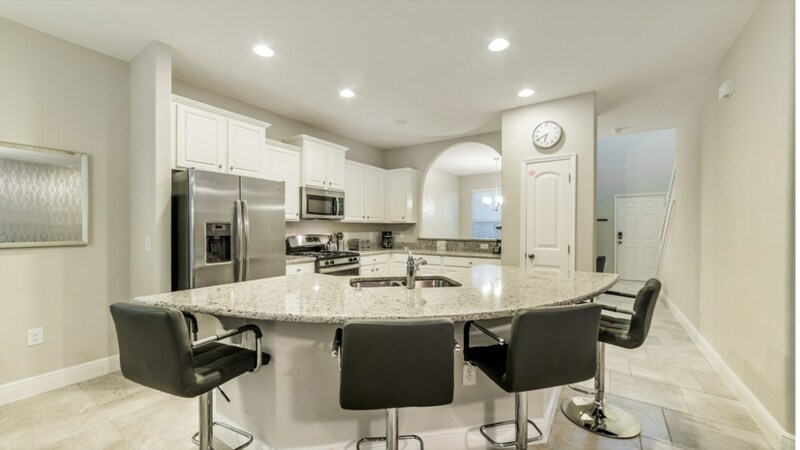 The kitchen itself is designed for the ease of the everyday chef. 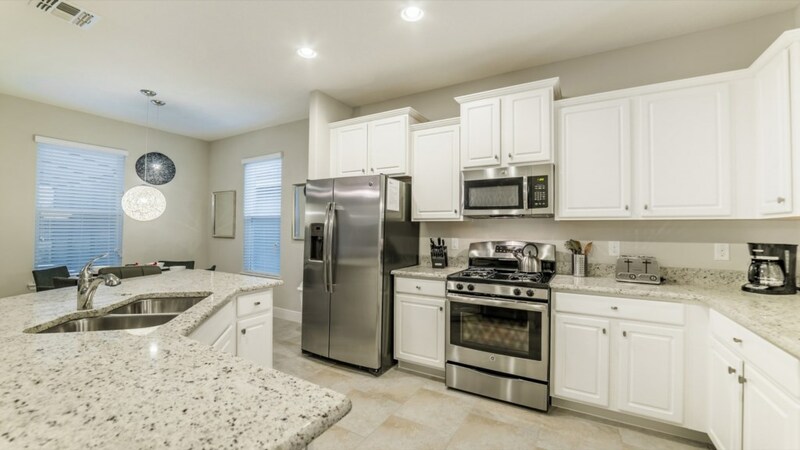 With upgraded appliances, beautiful cabinetry and granite countertops, everyone will want to whip up a quick meal here. 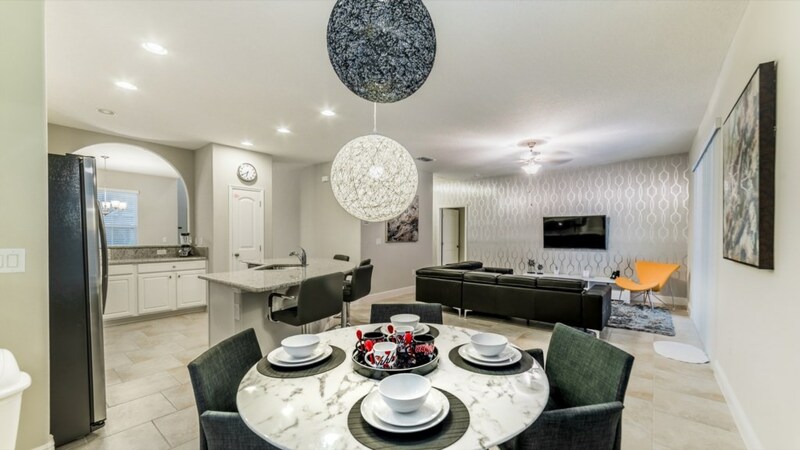 The breakfast bar and dining room table present themselves for endless conversation and a great place to enjoy a meal. 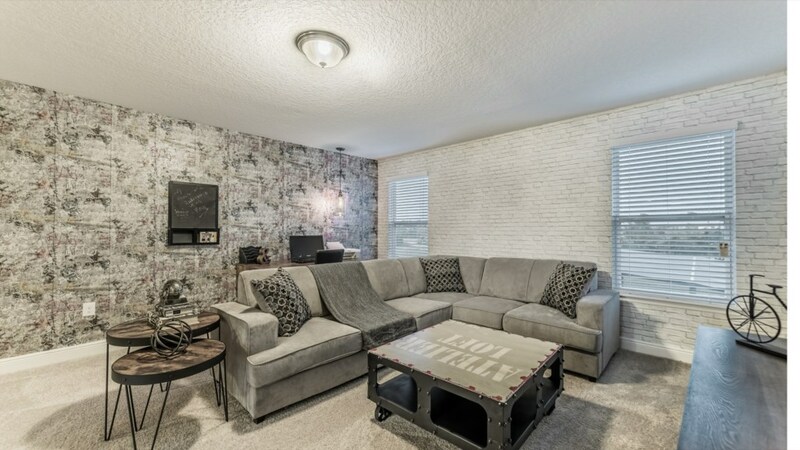 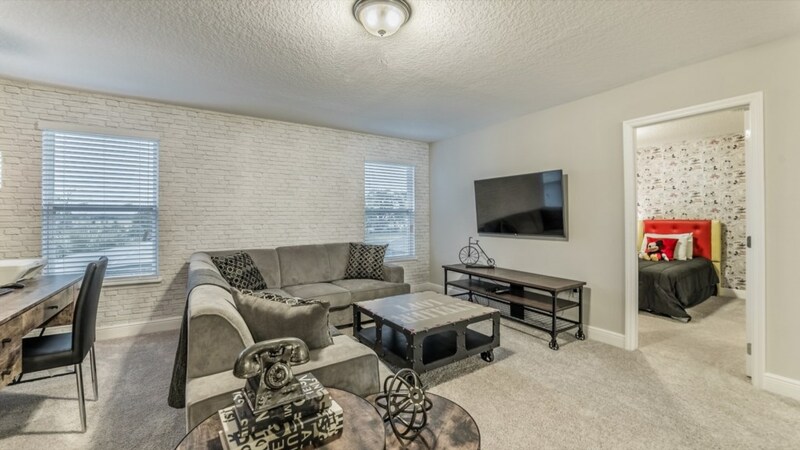 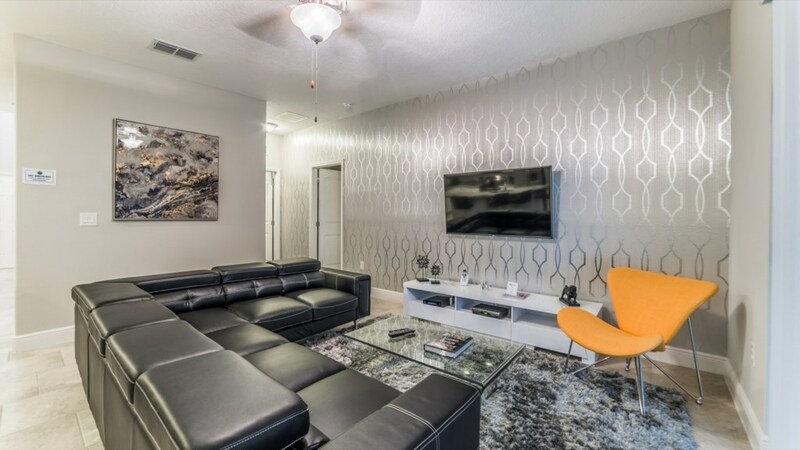 The living room, with a 55” flat screen is also the perfect place to gather around for a movie night. 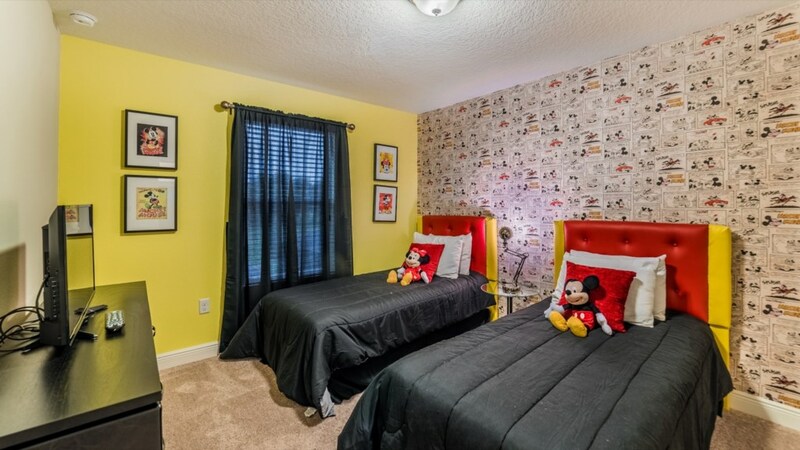 This home has 6 bedrooms which all offer rest and relaxation. 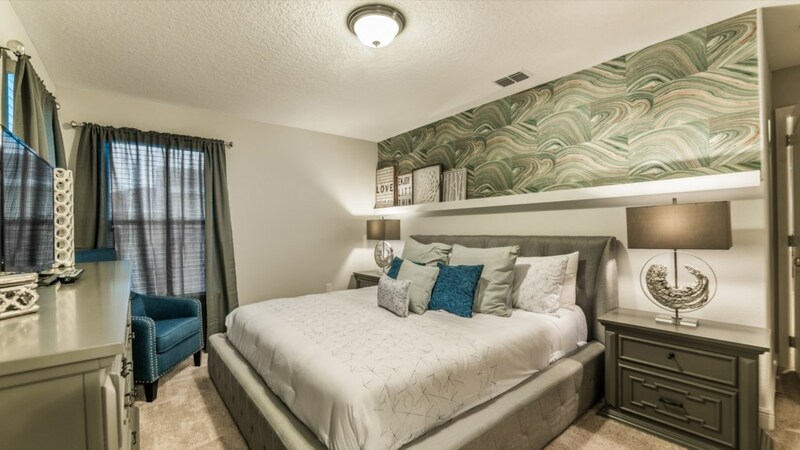 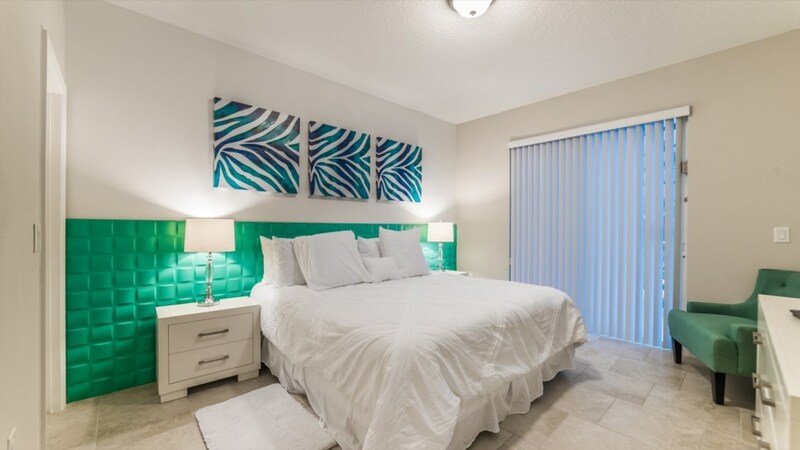 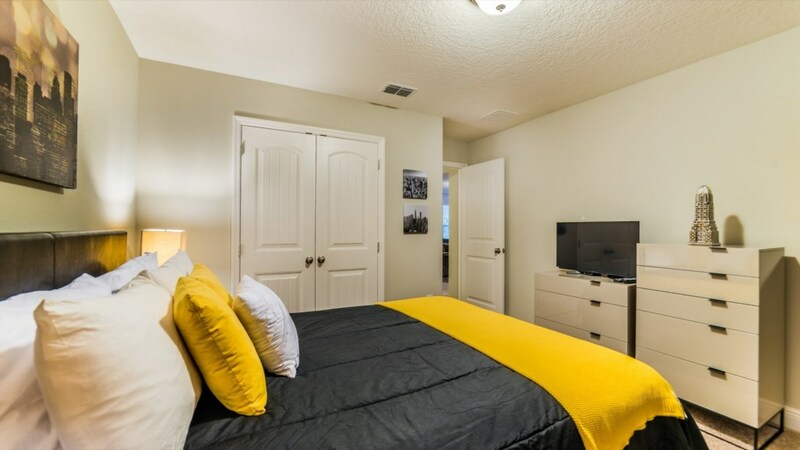 With 2 king bedrooms, 2 queen bedrooms, 1 room with a twin and a full bed and 1 room with 2 twin beds, everyone in your party is sure to find a place to call home for your visit to Florida. 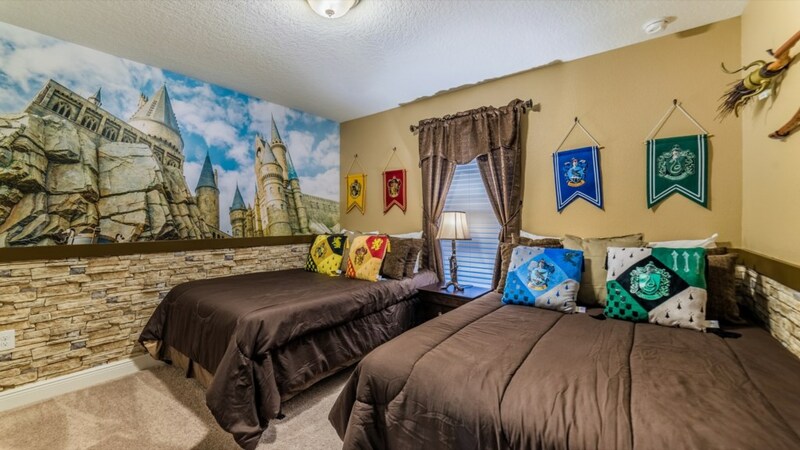 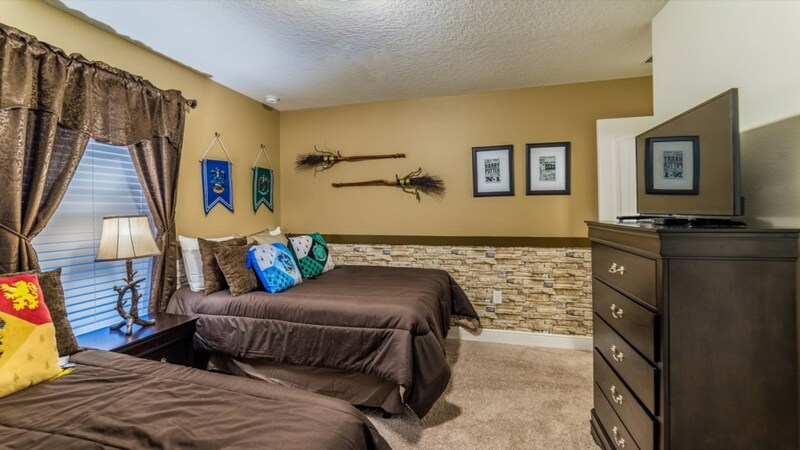 The Harry Potter themed bedroom will be very popular with everyone as well. 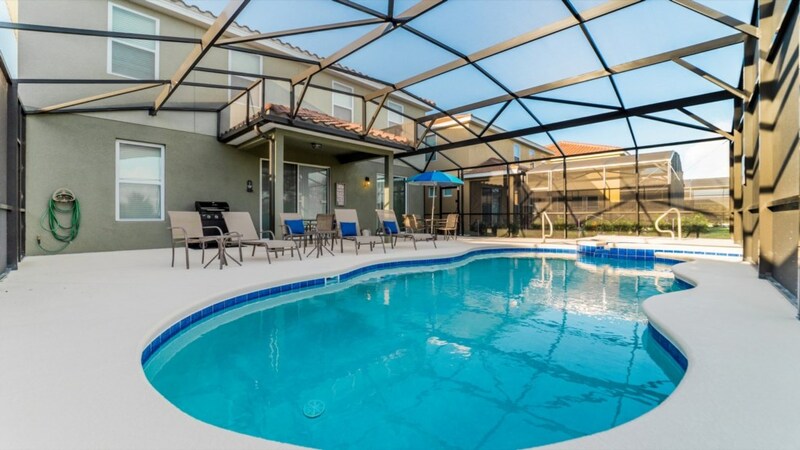 The large patio and huge pool present themselves for a day of relaxation, soaking up the Florida sun. 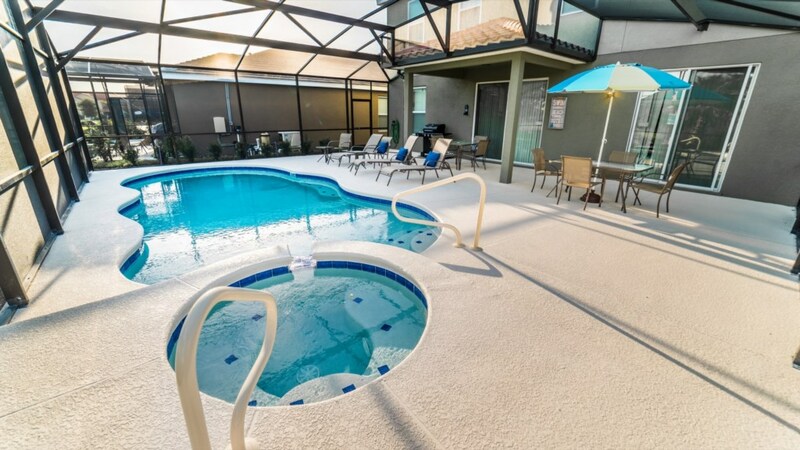 This particular pool is south facing- meaning sun exposure all day. 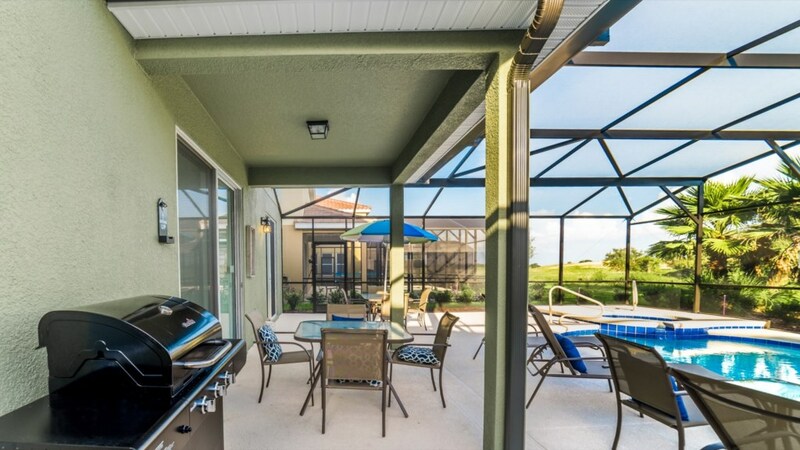 With an outdoor dining set and lounge chairs, you’ll have your day set. 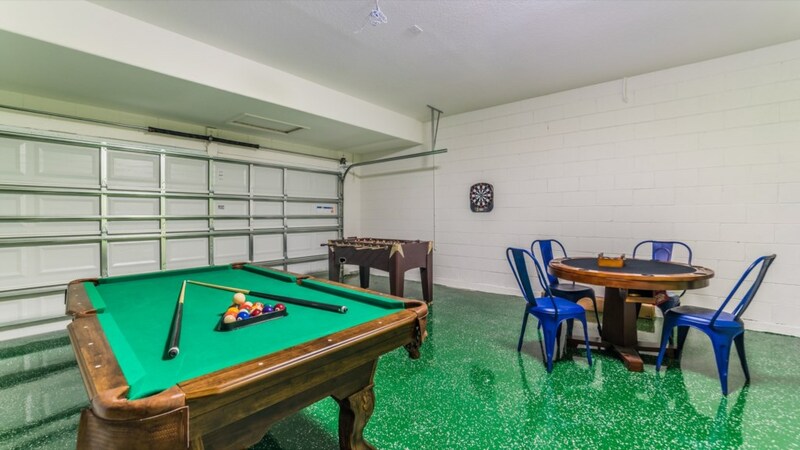 There is also a game room which will spark some friendly competition throughout. 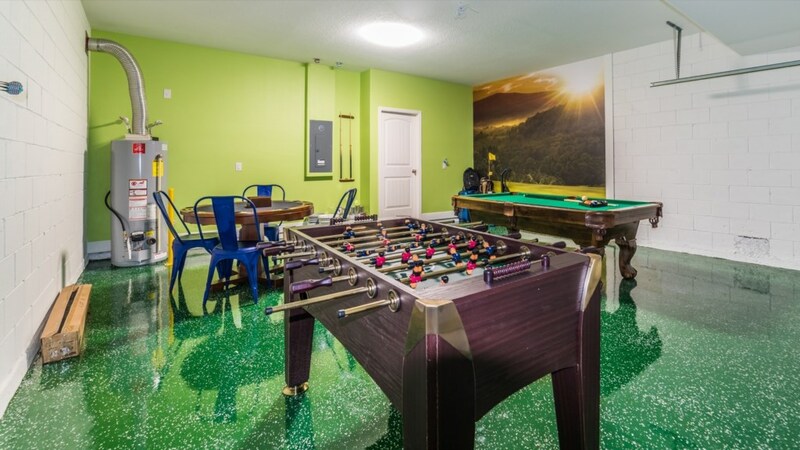 With billiards and foosball, everyone is sure to find their fun. 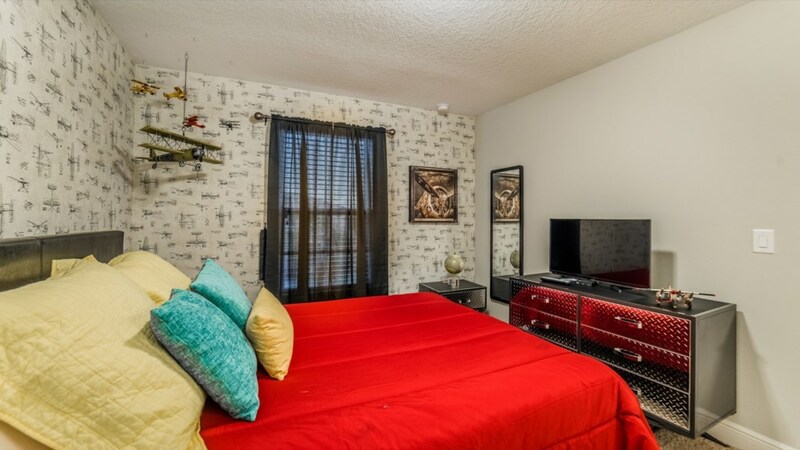 There is also a washer and dryer as well as access to wireless internet for your convenience. 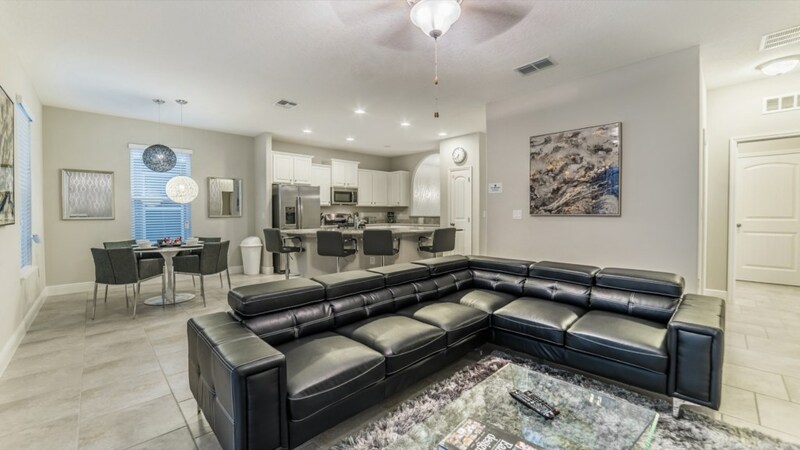 Staying in Solterra provides you with access to their beautiful clubhouse. 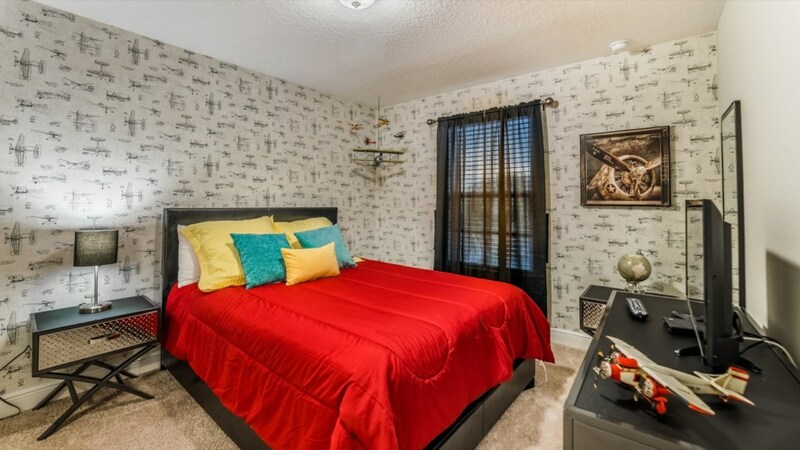 With a pool, slide, gym and much more- it will provide days of family entertainment. 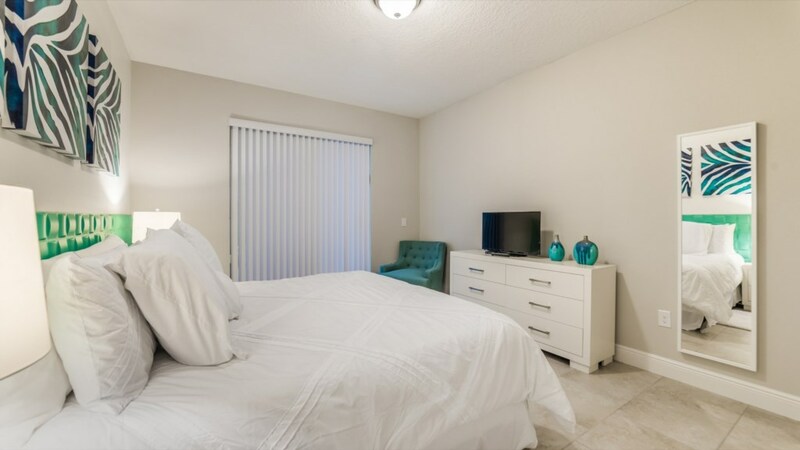 Stay here and let your vacation begin!